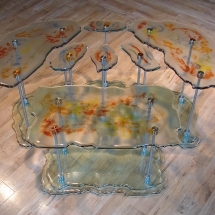 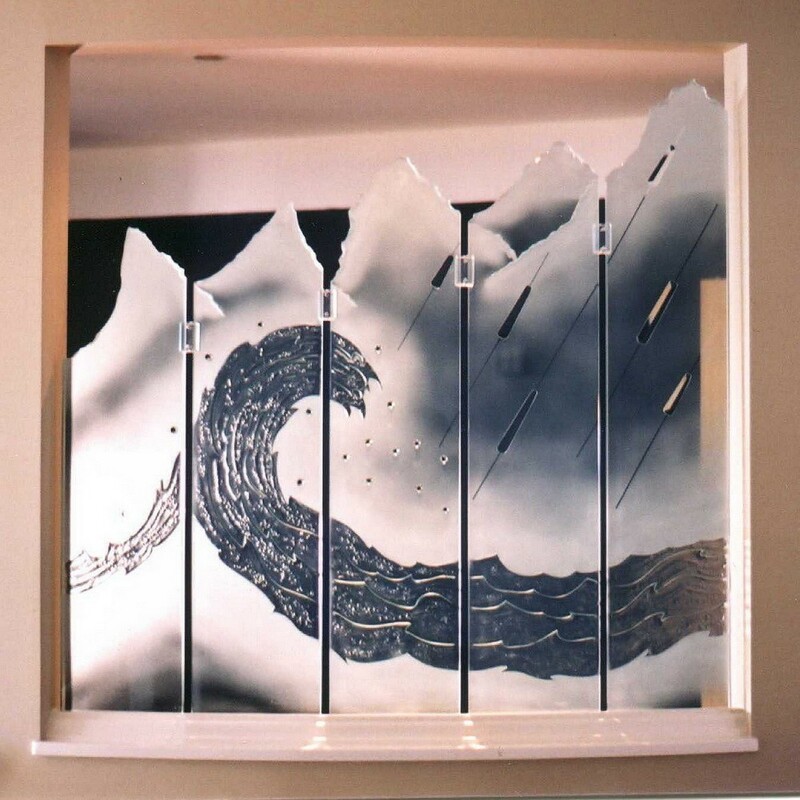 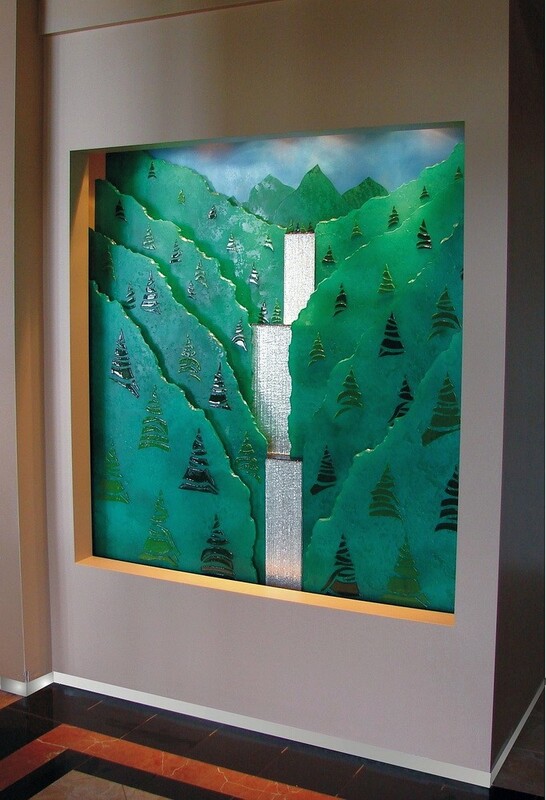 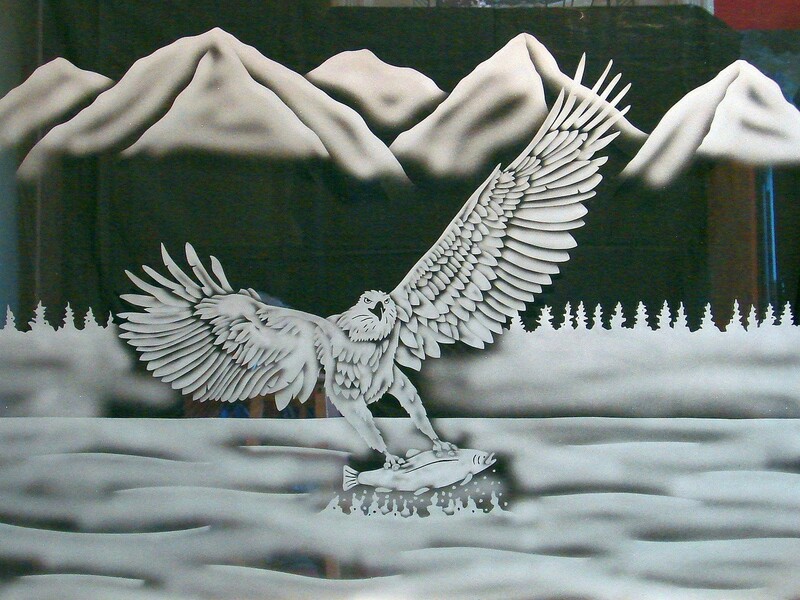 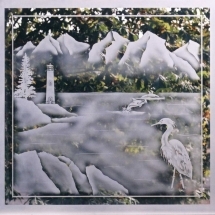 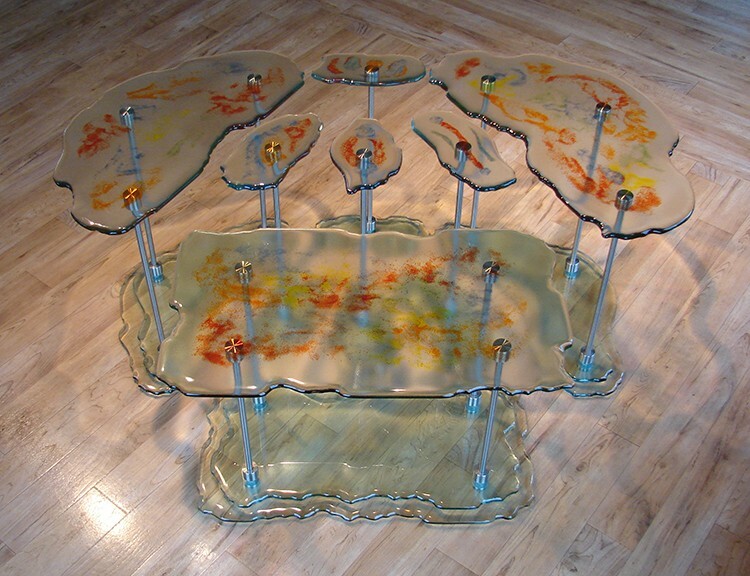 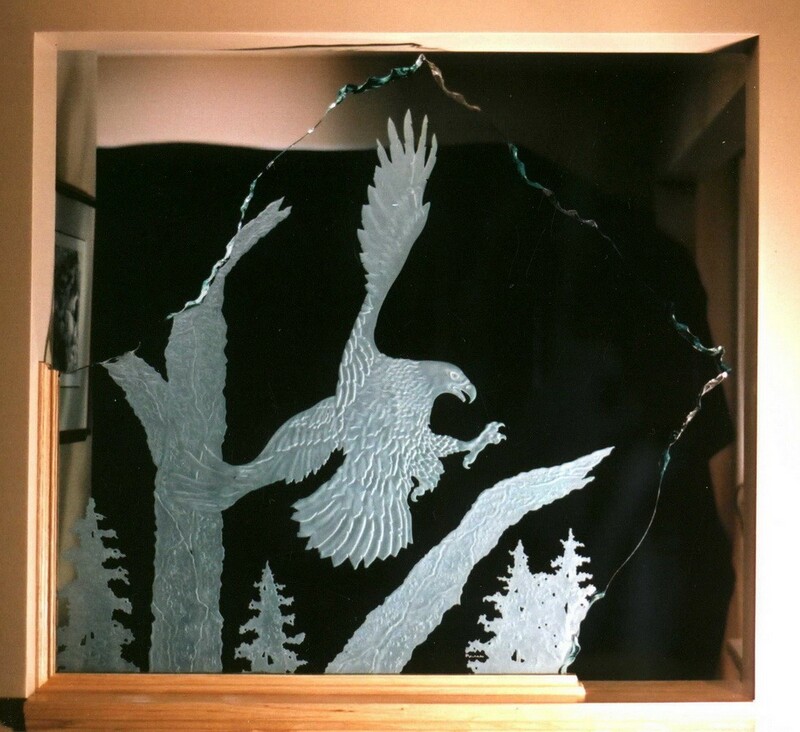 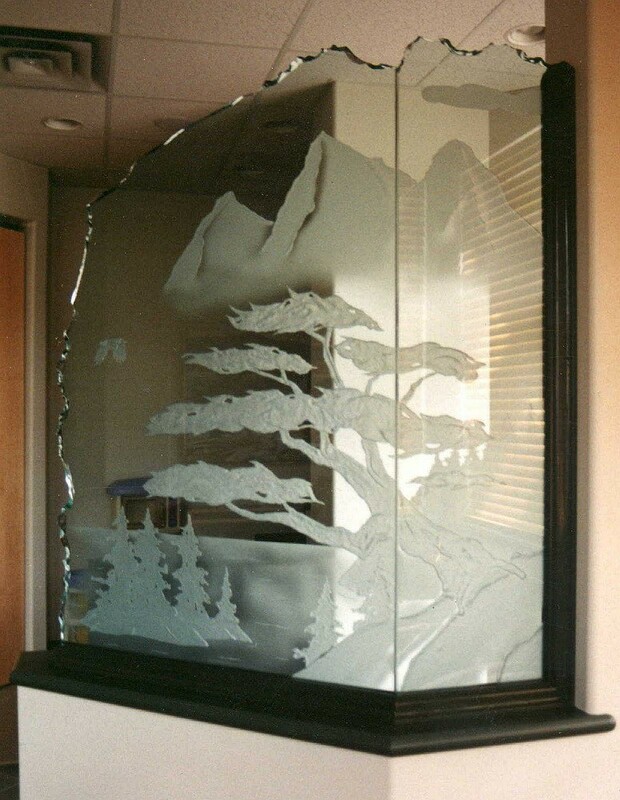 Sandblasting a three-dimensional relief in heavy float glass is Carved Glass. 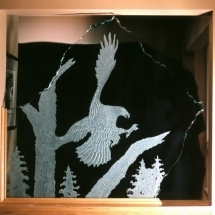 Combining this with our “finger friendly broken edge” makes for dramatic WOW! 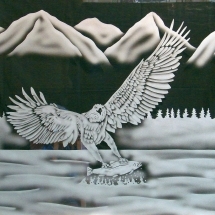 piece of art. 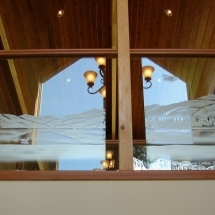 We carefully and purposely create the edges, the glass only looks dangerous, as we sand and polish the edge to make it safe. 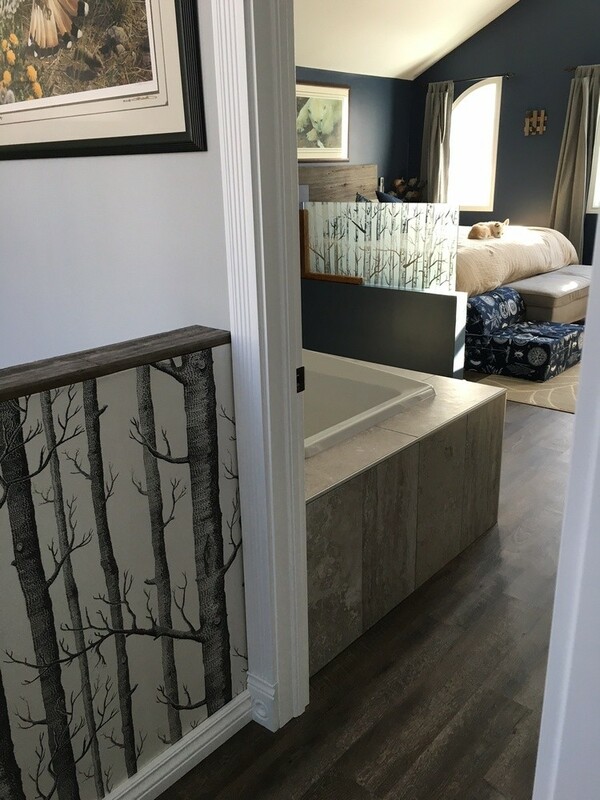 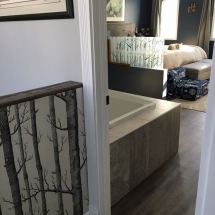 These panels are often set in pony wall and openings and used as room dividers. 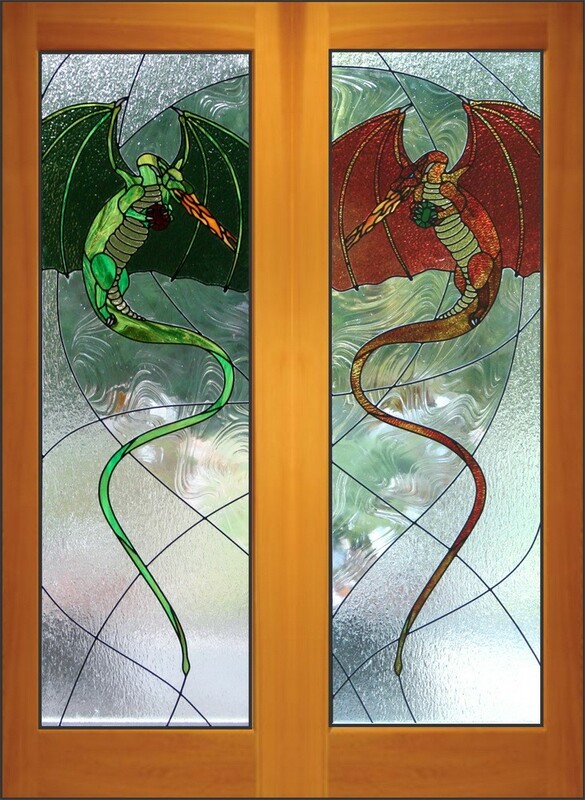 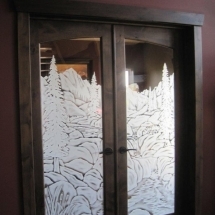 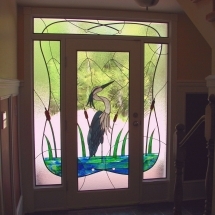 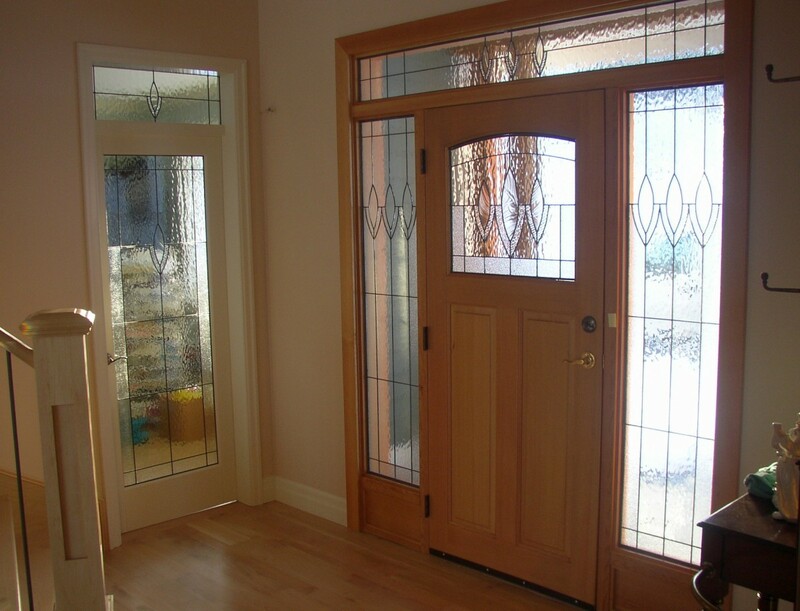 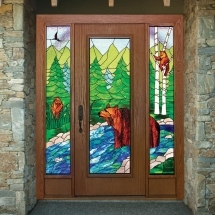 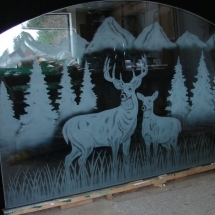 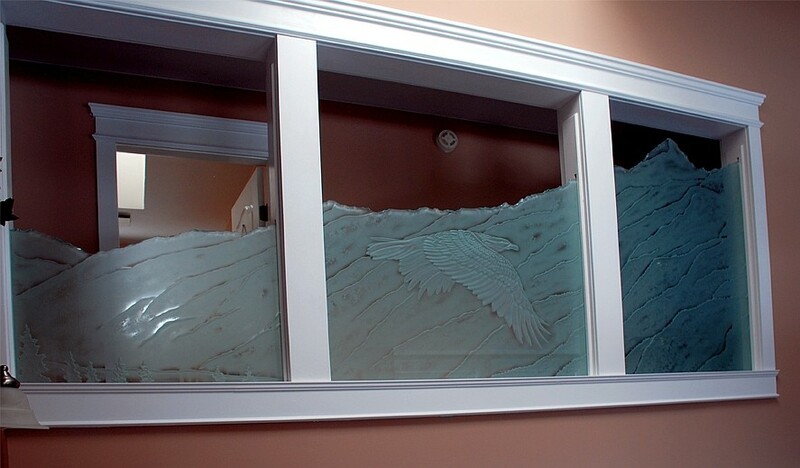 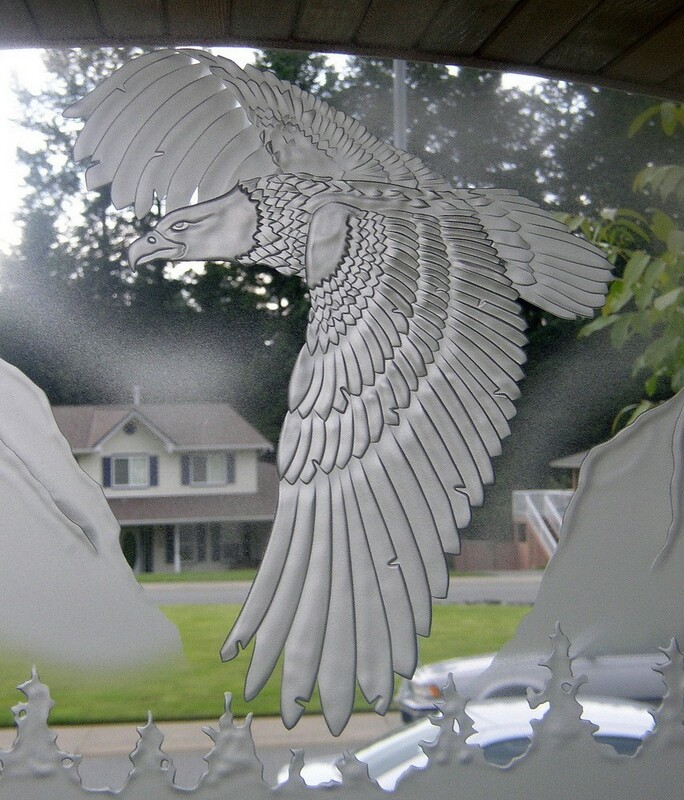 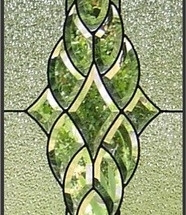 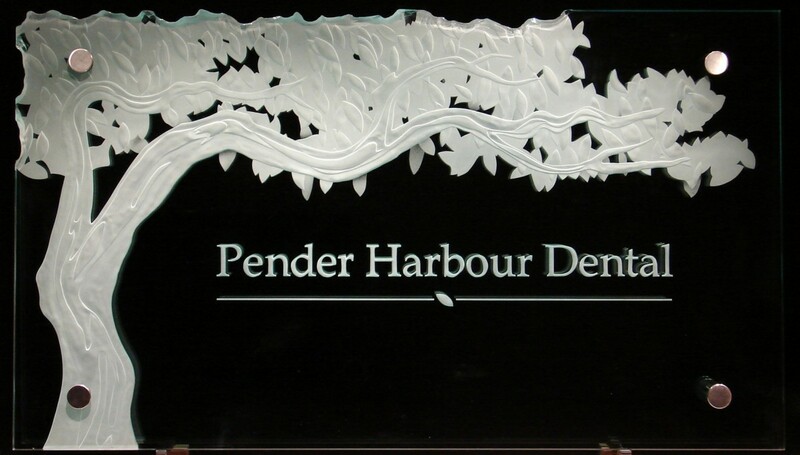 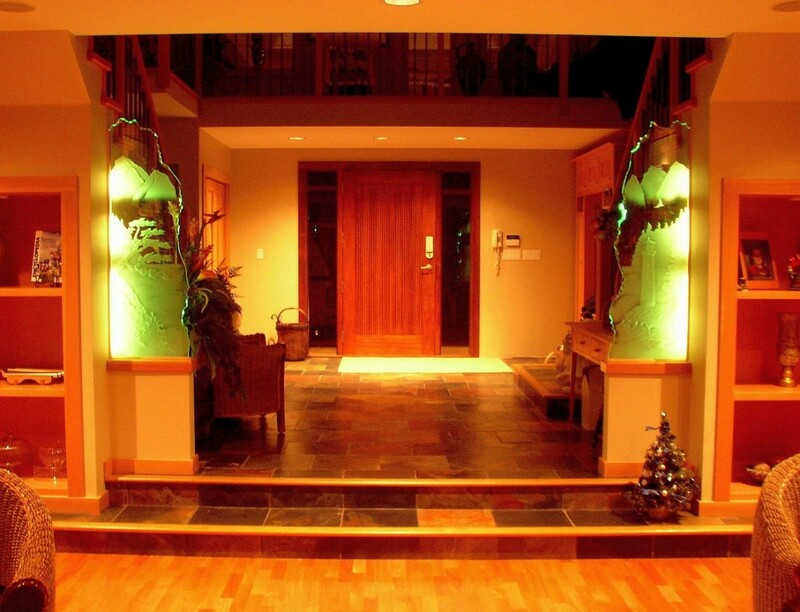 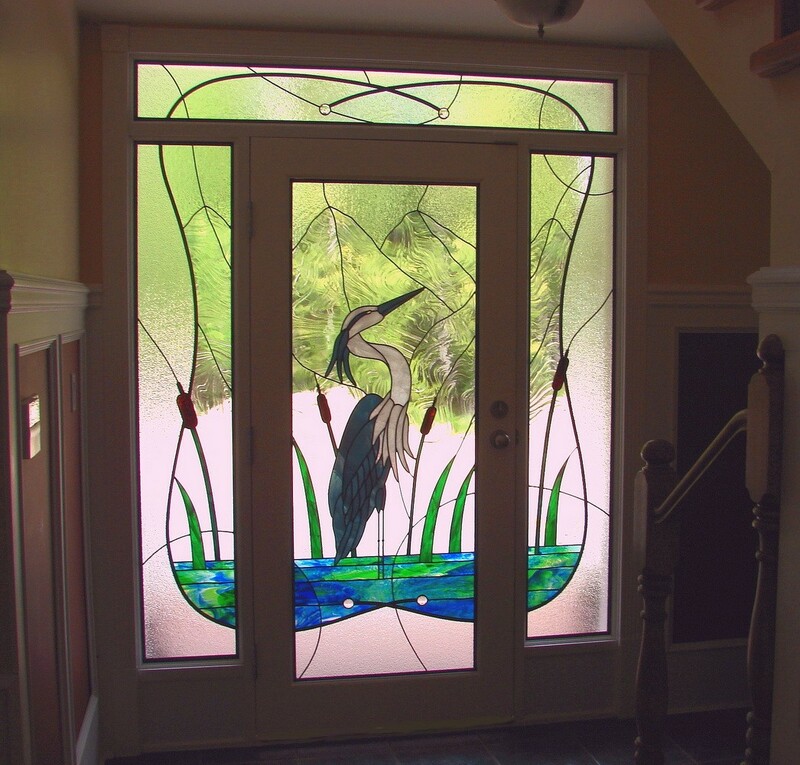 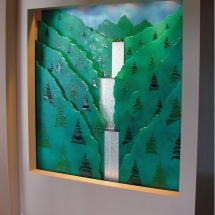 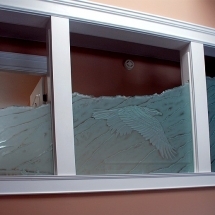 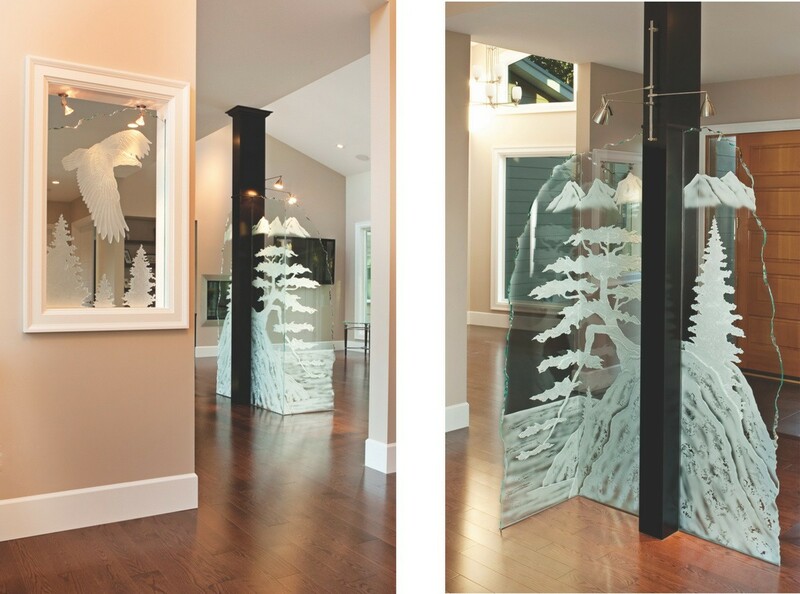 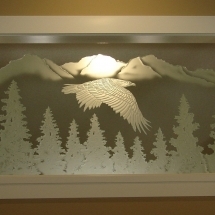 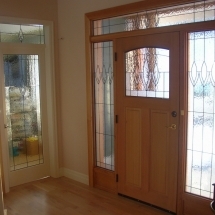 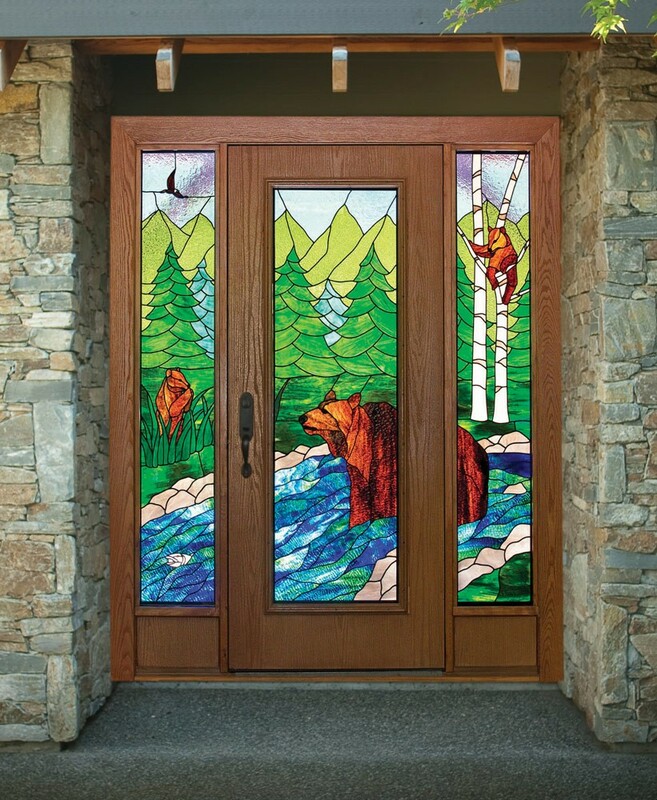 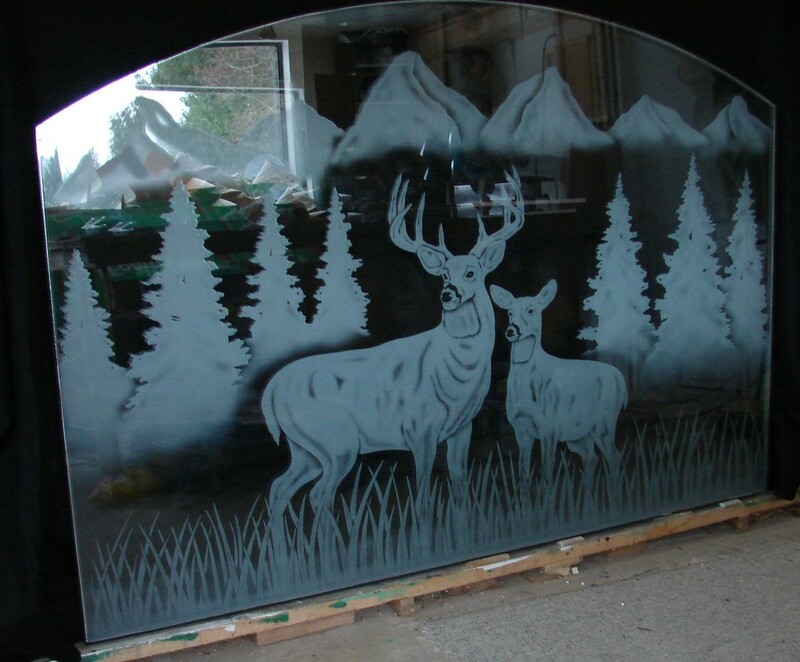 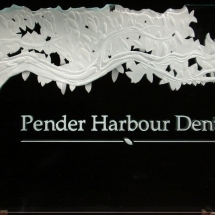 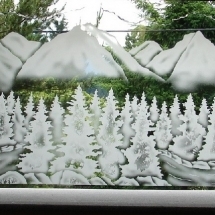 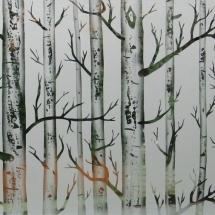 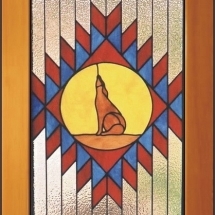 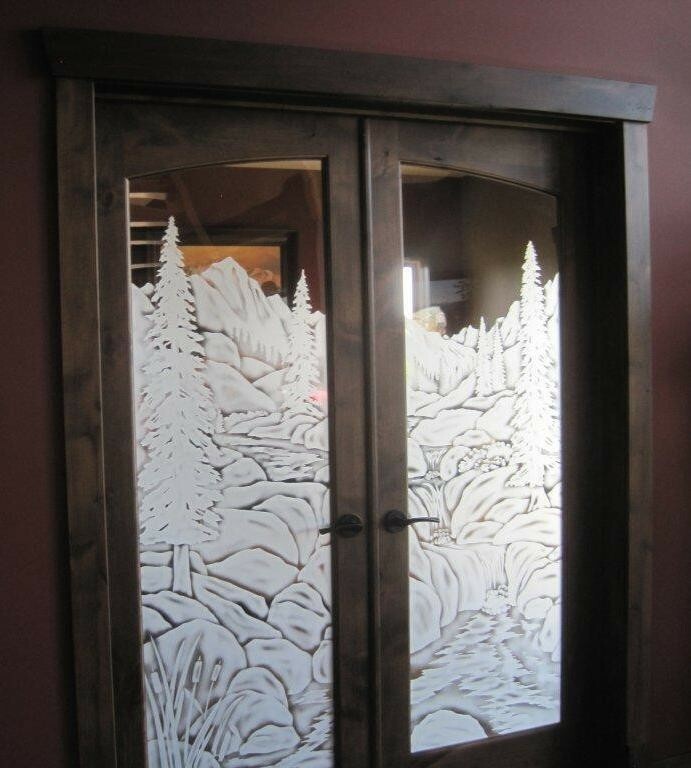 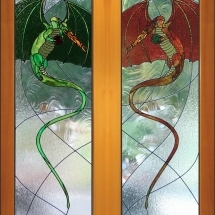 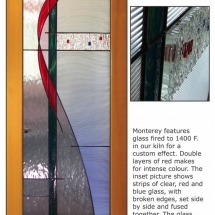 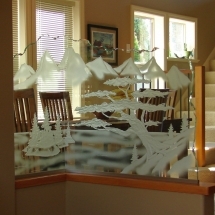 Carved and sandblasted (etched) glass can also be used in doors and windows. 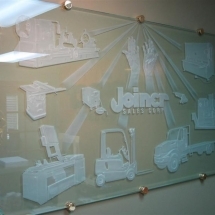 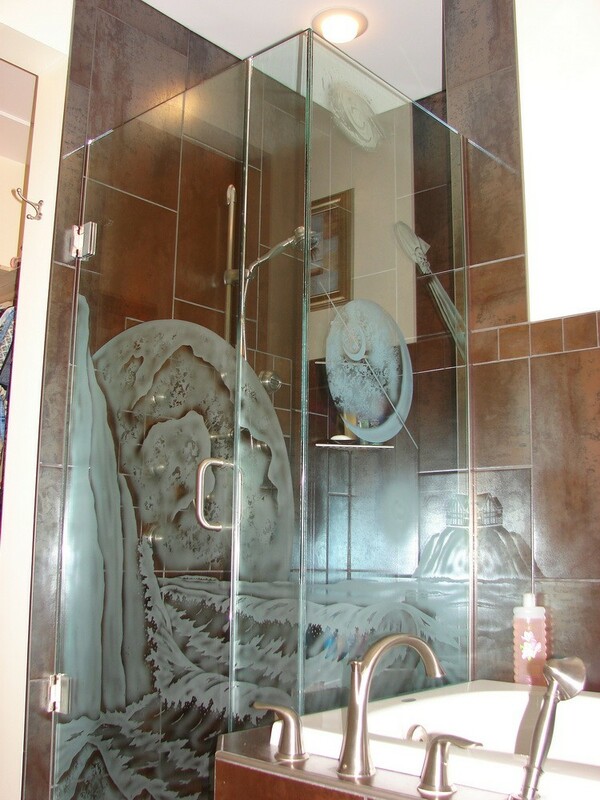 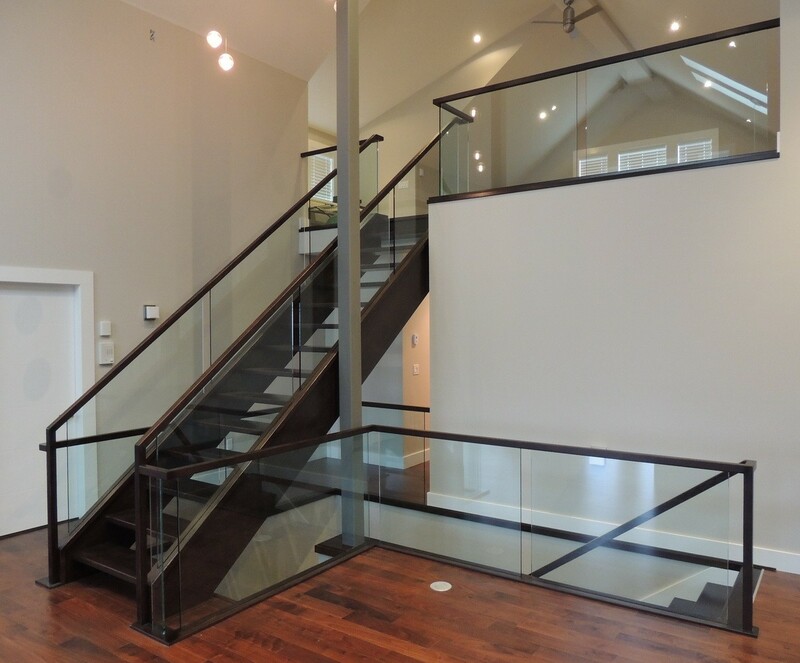 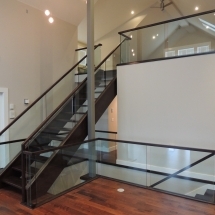 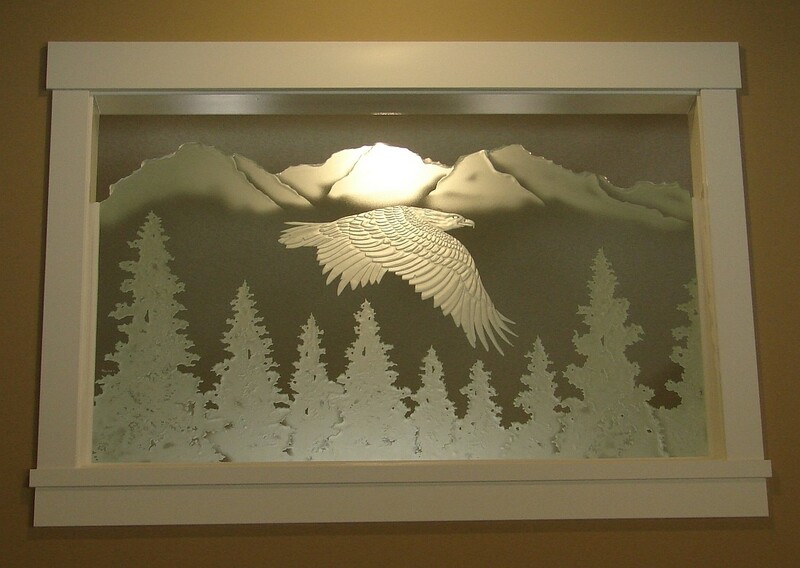 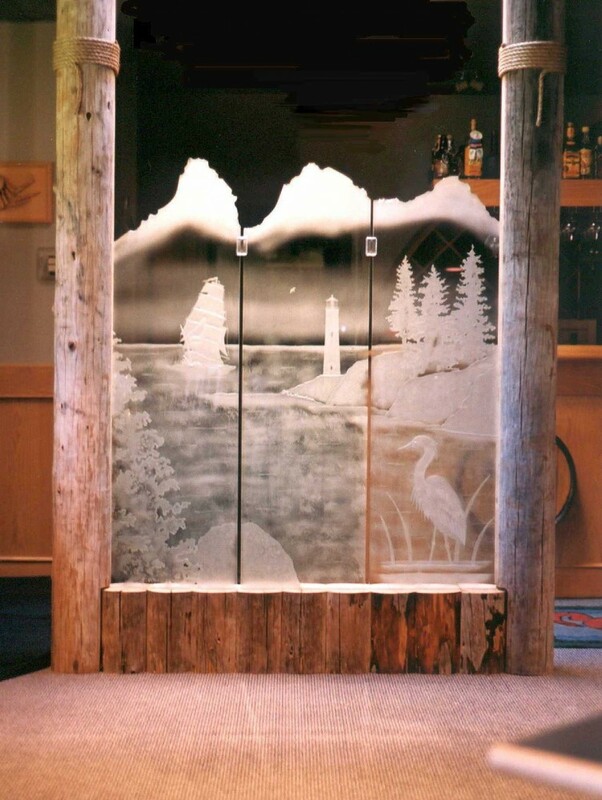 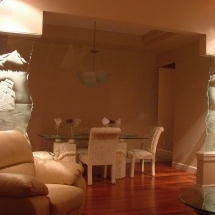 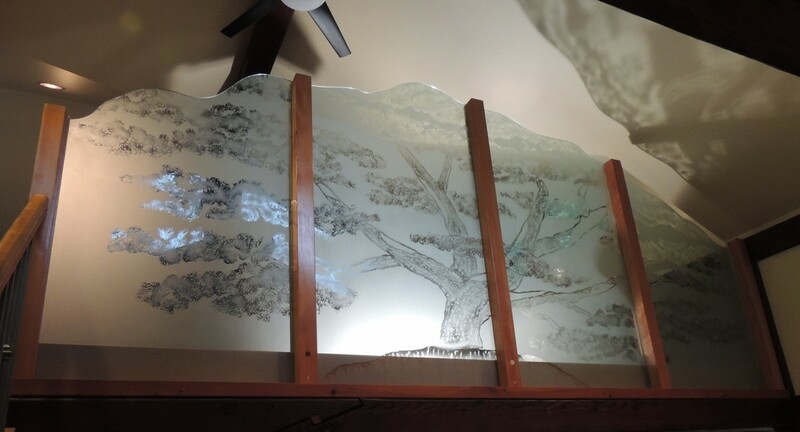 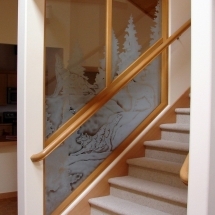 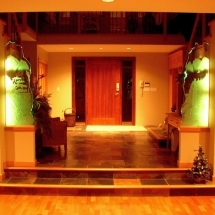 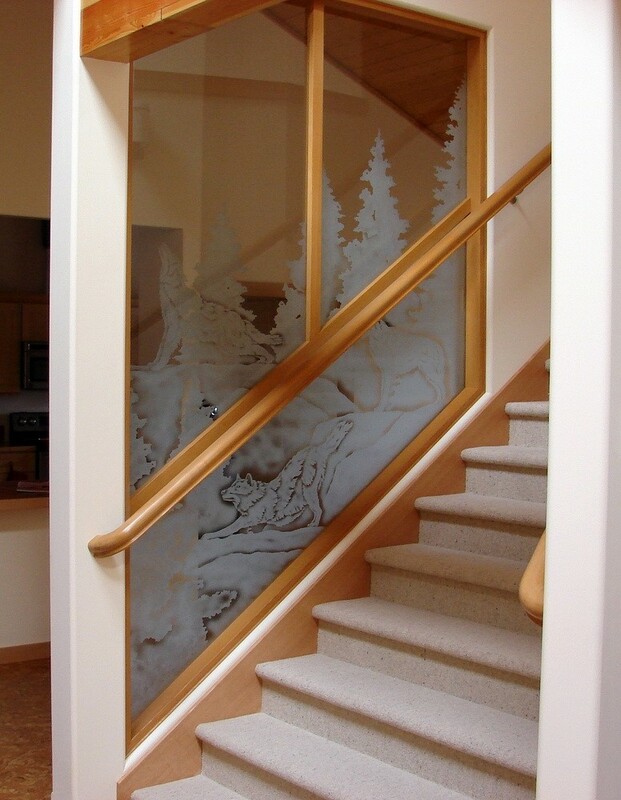 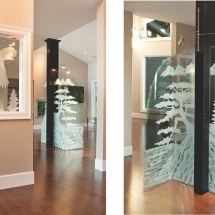 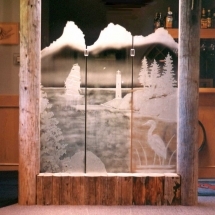 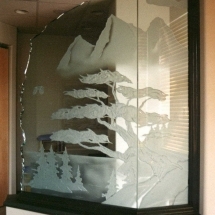 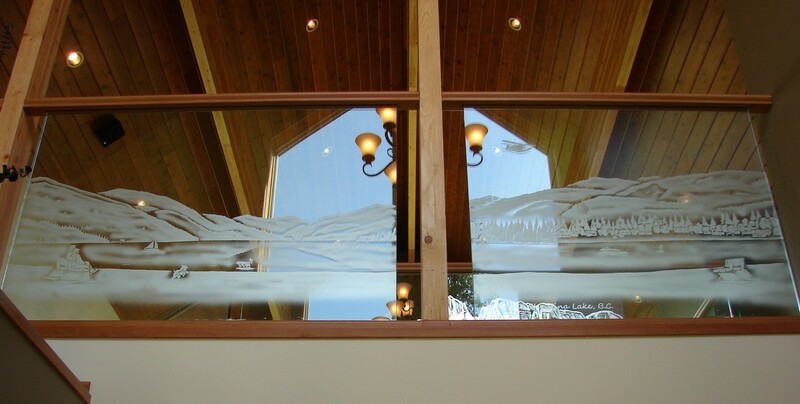 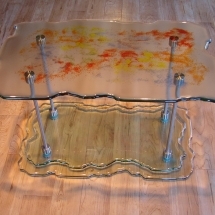 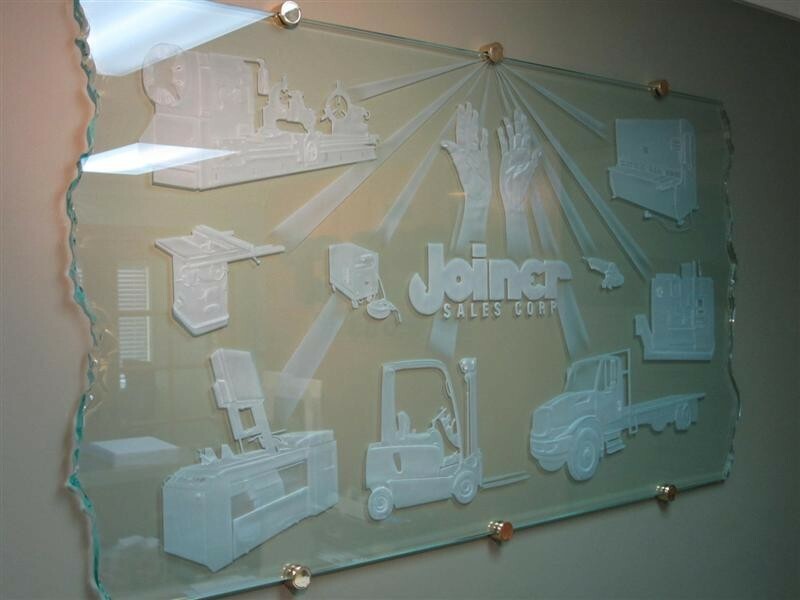 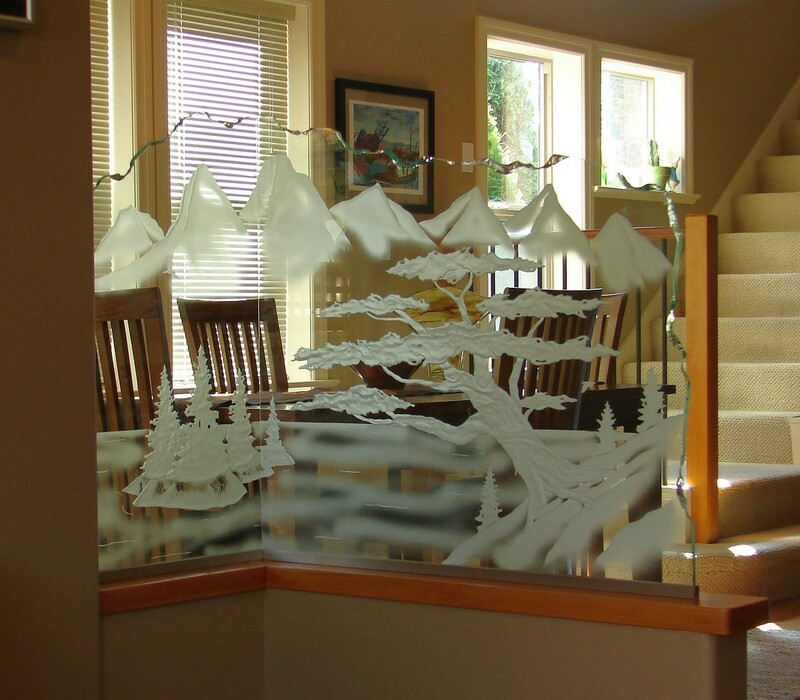 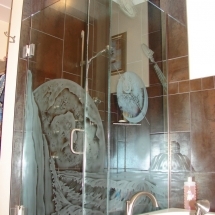 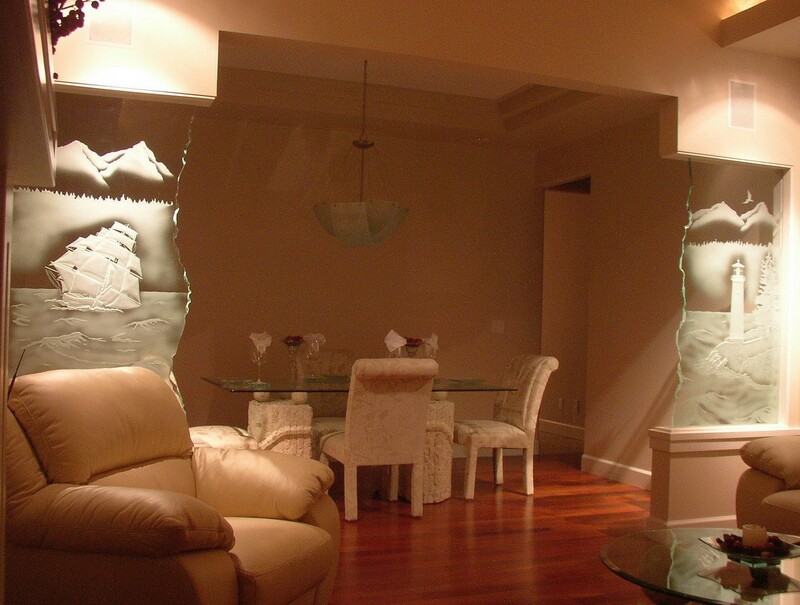 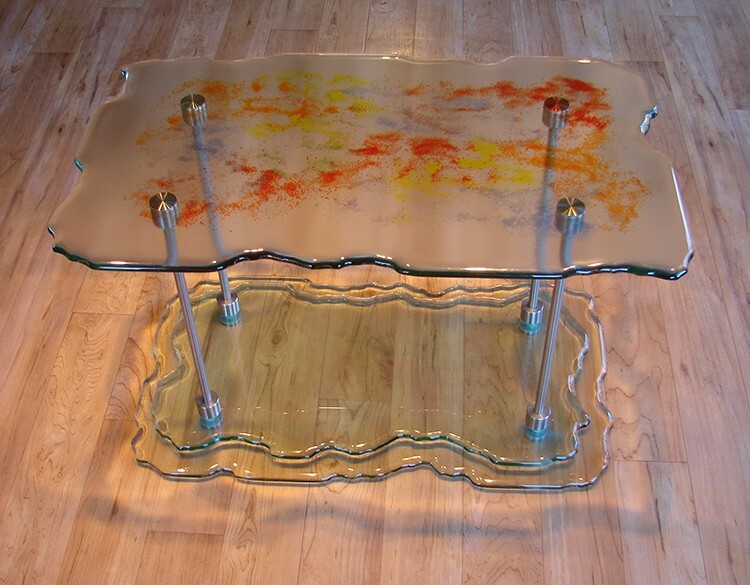 Sandblasted (etched) glass is a two-dimensional surface blast. 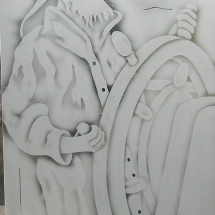 Detail and the perception of depth are obtained by the use of shading. 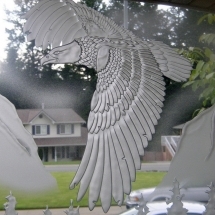 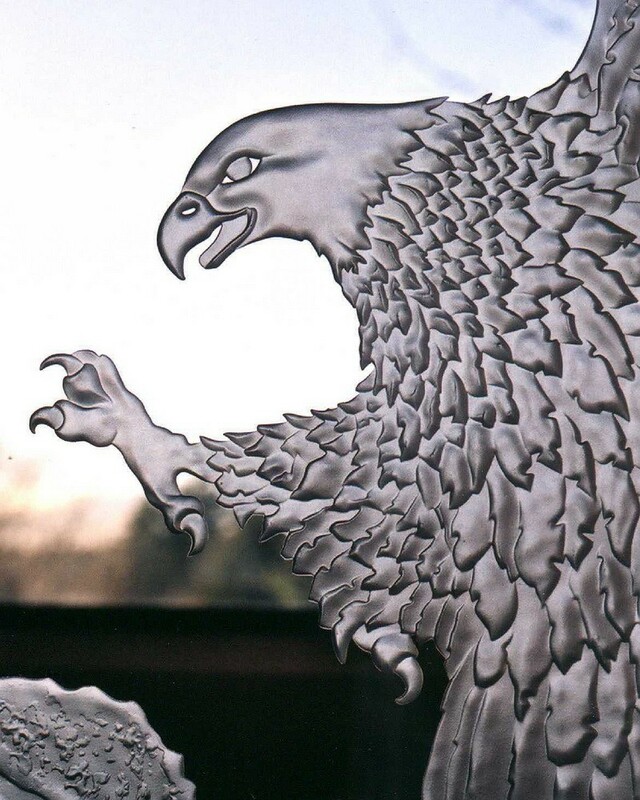 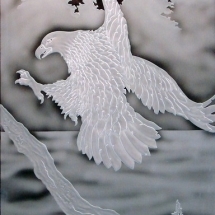 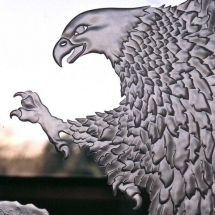 Neil Relkie is a true artisan and we are fortunate to own six of his creations.From the delicate feathering of our eagle’s wings to the elegant lines of our great blue heron and even the streaming power of our Orcas, Neil has captured a moment in time and carved that moment forever in glass. 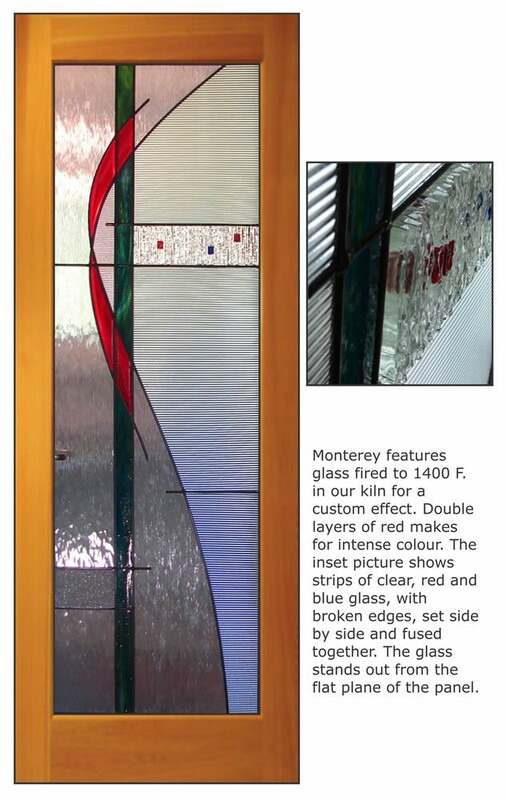 Each piece shimmers differently in different lighting conditions like a fine jewel. 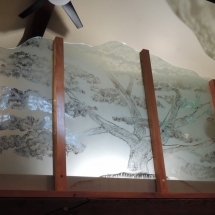 His art has made our house a home.